1 Month - 8 Rivers - Nepal - Click HERE for Details. Now taking booking and inquiries for October 20 - November 22 2019. Designed for whitewater enthusiasts by whitewater enthusiasts. Don't miss out on the biggest rafting and kayaking trip in the world! Namaste and Welcome to Adrenaline Rush Nepal. We are a true white water company. And everyday we consider ourselves lucky to do what we love. We have always done so safely and with a big smile. That is us, a small happy family who love white water and Nepal. White water rafting for us is not just about business – it’s about family. Owned and run by a family of Nepali River Guides and soon proudly celebrating our 10th year of business in 2016! We can offer you some of the best trips and help you figure out the best itinerary just for you. All our company owners and senior staff have 20 years of experience or more and not only on Nepal’s Rivers, but internationally as well. Our international experience and learning from industry leaders all over the world, has proved invaluable to creating a company of the highest standards. Beyond that, we enjoy sharing that all important local knowledge that truly helps people make the most of their time here in Nepal. We love nothing more than sharing the Adrenaline rush with visitors to our country. Not only do we take you to experience the ravaging white water, but the beautiful scenery and the rich culture that is Nepal, something that is going to live with you forever. We absolutely love every trip, whether is is showing experienced rafters our amazing rivers or sharing the thrill as first timers hit those rapids. 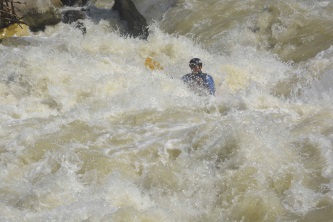 Adrenaline Rush’s most popular beginners course for whitewater kayaking. Get one on one with the river with this 4 day course. Raft the Trisuli and Marshyangdi before heading into the canyons of Nepal. Best 3 days in Nepal! Famous for our amazing Day Trips ! Short on time - no problem ! Best mini-expedition trip in Nepal. 3 days of camping, whitewater, scenery and sun! Journey into Nepal's rural west for great rapids and stunning scenery. Our favorite river expedition in Nepal! A world class river made famous by it's long traverse 270 kilometers from the border near Tibet to the plains of the south, and of course the wild rapids. A true expedition with a combination of trekking and rafting one of Nepal's most secluded river. Best for the true adventurers. Come spend time with us at our family camp tucked away in our working farm terraces. Rest up after your trip, enjoy our local produce, explore local villages, learn to cook some Nepali delights or just hang around in the hammock and enjoy the true relaxing feel that is Nepali river life. Trisuli, Marshyangdi and Canyoning are great side trips from here! Also ask about our local hill hikes, village stays and volunteer opportunities! 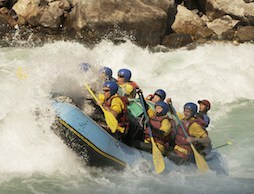 Whitewater is our business, our passion, and a family affair. Nepal is one of the worlds top white water destinations, respected by paddlers from all over the world who come here each year to check out the unforgettable himalayan water. They are drawn by the sheer size and challenge of our rivers but return also for the love they find for the country and the people here. 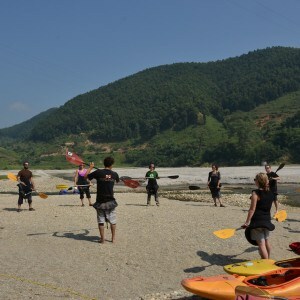 Each year after monsoon we rejoice in the international paddling community that comes here to Nepal. 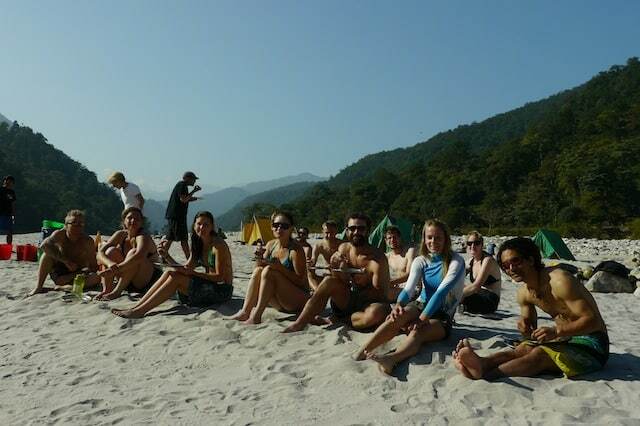 We share and learn from each other and rafting in Nepal has become a true paradise for white water enthusiast. You don’t have to be a world renowned paddler to enjoy our rivers though! Our vast choices of rivers are great for both beginners and veterans of the sport. 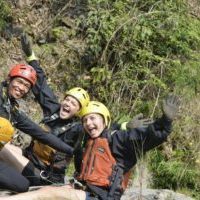 The truly best thing about Nepal white water adventures is that there is something for everyone. On our trips we have had kids as young as 5 years old and rafting enthusiasts over 75! We love everything from family trips to the true adrenaline seekers. There is such a beautiful array of all sorts of rivers in this very diverse land. 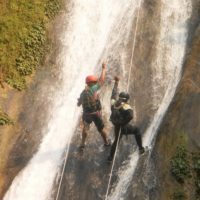 Truly Nepali white water has something for adventures of all ages and skill levels. Every rafting trip whether it is a day trip or full fledge rafting expedition combines the amazing rivers and white water of nepal with its rich history and village life. © 2019 Adrenaline Rush Nepal. All Rights Reserved.